TalkTalk announced on Wednesday it will relocate its headquarters from London to Salford to support its next phase of growth. Several hundred roles will be relocated from London with further hiring in Salford to begin in 2019 – including graduates and apprentices. The news came as TalkTalk also announced the launch of a new company called FibreNation to build a new broadband network for Britain, with the first three towns to benefit being Harrogate, Ripon and Knaresborough. Further, TalkTalk announced a trading update for the six months to September 30, saying statutory revenue declined 0.6% to £822 million — while headline EBITDA rose to £101 million from £75 million. The move to Salford is the second major investment by the FTSE 250 telecoms company in the north west in recent years. Last year, the company opened a large office in Salford, which is home to the firm’s technology and business teams. The state-of-the-art site replaced previous offices in Warrington and Irlam. 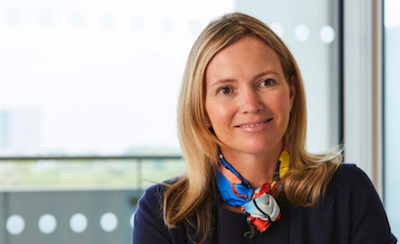 TalkTalk CEO Tristia Harrison said: “We’re excited to be moving our headquarters to Salford. “We’ve always had a base in the north west, but we want to build on that heritage and create a world-class campus for the whole business. “As with any change, we are committed to supporting all of our colleagues during this transition period. Salford City Mayor Paul Dennett said: “Salford is already home to the second largest cluster of digital businesses outside London and the city is working hard to grow the digital skills and talent for the future. “TalkTalk relocating their headquarters and executive team here and creating hundreds of new, high quality, technical, digital jobs speaks volumes for the success of our investment in a digital future. “TalkTalk has a long-standing and very warm relationship with the city and local communities so I’m delighted to hear of this further investment. Meanwhile, TalkTalk established a new company, Fibre Nation, under an independent chair, to rollout full fibre infrastructure. TalkTalk confirmed that the first three towns to benefit will be Harrogate, Ripon and Knaresborough. The rollout builds upon TalkTalk’s full fibre trial in York, which has seen the city benefit from Britain’s fastest internet. The combined footprint will reach over 100,000 homes and businesses. Full fibre is 100 times faster than standard broadband and offers guaranteed speeds rather than variable ones. TalkTalk will be the first customer on FibreNation, wholesaling access to the network to sell full fibre services to its customers. Paul Reynolds, incoming chair of FibreNation, said: “Having rolled out full fibre networks around the world, I’m excited to start building in Britain. “This infrastructure will transform how families and businesses use the internet and I’m committed to ensuring it’s affordable to all. Richard Cooper, Leader of Harrogate Borough Council said: “We are delighted that Harrogate has been chosen as one of the first towns in the UK to benefit from the roll-out of ultrafast broadband.